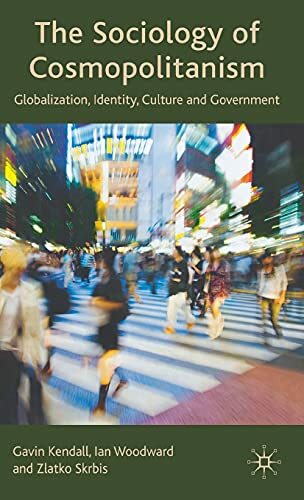 Sociology Of Cosmopolitanism: Globalization, Identity, Culture And Government: 9780230008687 Hardcover - LIMEROCK BOOKS INC.
<br />GAVIN KENDALL is Professor of Sociology at Queensland University of Technology, Australia. His research interests include social theory, social order and the relationship between culture and socio-technical problems. His previous books include <em>Using Foucault's Methods</em> (with Gary Wickham), <em>Understanding Culture</em> (with Gary Wickham) and <em>State Democracy and Globalization</em> (with Roger King). <br />&nbsp; <br />IAN WOODWARD is Senior Lecturer in Cultural Sociology at Griffith University, Australia&nbsp;and a Faculty Fellow of Yale University's Centre for Cultural Sociology, USA. In addition to publishing many papers on the cultural aspects of cosmopolitanism, he has written extensively on consumption practices, subject-object relations and material culture. He is the author of <em>Understanding Material Culture.<br /></em>&nbsp; <br />ZLATKO SKRBIS is Professor of Sociology at the University of Queensland, Australia. His research interests are located in the intersecting area of migration, nationalism, and globalization. He is the author of <em>Long-Distance Nationalism</em> and <em>Constructing Singapore</em> (with Michael Barr), and his recent articles include papers in the Sociological Review, Theory, Culture&amp; Society and Ethnic and Racial Studies. He is a lead investigator on a longitudinal study of Australian young people and their life trajectories.